The more our knowledge on cancer biology progresses, the more it becomes evident that studying the cancer cell isolated from the cancer environment is reductive. Therefore, a better understanding of cancer biology needs a better characterization of the interactions a cancer cell can establish with the surrounding environment. 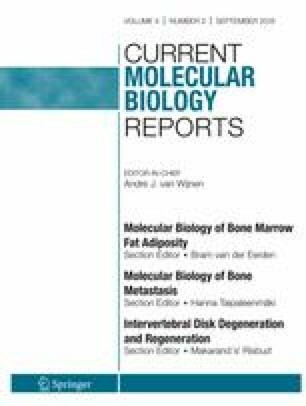 The purpose of this review is to focus on one of the most intriguing cancer/healthy tissue interactions, which occurs in bone during breast cancer-bone metastasis. Bone and bone marrow represent a very peculiar environment populated by a variety of cells that cross-communicate. Bone is also by far the most common metastatic site in breast cancer. Breast cancer cells not only colonize the bone, but also alter its metabolism inducing osteoclast-mediated osteolysis. Recent findings further support the relevance of the pathological cross-talk at the basis of the breast cancer-induced bone metastasis, called the vicious cycle. In fact, targeting molecules essential for this cross-talk is already an effective therapeutic strategy, proven to be more constructive than targeting the cancer cells alone. We will dissect in this article the vicious cycle and describe the interactions that happen in bone metastasis. Alfredo Cappariello reports having patent 16745158.1-1112 pending; Mattia Capulli declares no conflicts of interest. Wong M, N. P.-B. C. T. and Therapy, and undefined. Optimal management of bone metastases in breast cancer patients. 2011. ncbi.nlm.nih.gov.